Carbon Fibre Wrapping is an innovative solution for structural strengthening. Carbon Fibre Wrapping provides significant strength to structures and protects against further corrosion and erosion. The impervious material will protect a structure from moisture intrusion and further corrosion, reducing the need for ongoing maintenance work. Carbon Fibre Wrapping isn’t suitable for every strengthening project and you should always get advice from a specialist contractor about the best method to use. The use of carbon fibre plates and rods are also available for structural strengthening. Carbon Fibre Wrapping was completed as part of the 2017 Spalling Concrete Remediation Programme at Hinkley Point B Power Station for client EDF Energy. The innovative solution was used for structural strengthening to the DW Plinths in the Turbine Hall. For years the DW plinths had simply been painted and as a result had fallen into a state of significant disrepair, putting their structural integrity at risk. Supporting heavy and expensive plant equipment, it was important that the correct course of remedial action was taken. Carbon Fibre Wrapping will not only provide significant strength to the plinths, it will protect against further corrosion and erosion. The impervious material will protect the structure from moisture intrusion and further corrosion, reducing the need for ongoing maintenance work for the life of the station or structure. 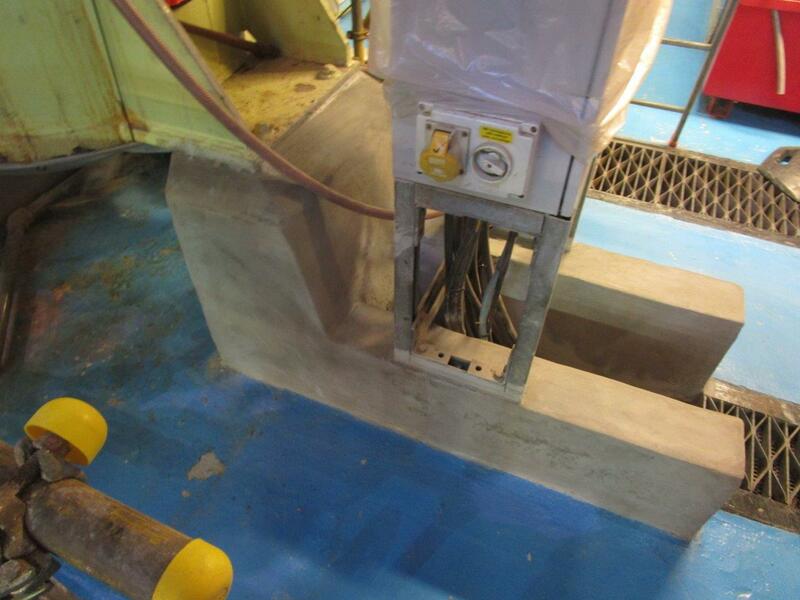 Following surface preparation and removal of dust, defects in the concrete were repaired. Sharp edges and corners were smoothed to prevent stress concentrations. The concrete was coated with a primer to allow for a mechanical bond before the Carbon Fibre Wrapping was fitted. The Carbon Fibre Wrapping was placed before a topcoat to provide temperature, chemical and abrasion resistance.